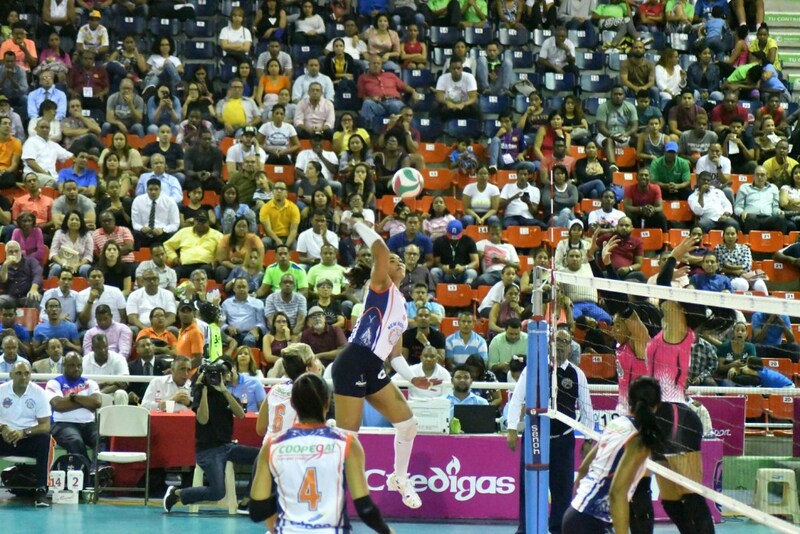 SANTO DOMINGO, Dominican Republic, March 28, 2019 – Caribeñas/New Horizons swept Cristo Rey in the best-of-three semifinal series of the Dominican Women’s Volleyball Superior League after a 3-0 (25-21, 2518, 26-24) victory on Wednesday. More than 2,000 spectators watched Erasma Moreno and Lisvel Eve scoring 18 points apiece to lead the victory. Madeline Guillen had 17 points for the defeated side. Caribeñas/New Horizons now will challenge Mirador in a best-of-five final series starting on Sunday at 4:00 p.m. In the regular series, Mirador won the three matches against Caribeñas and finished with a 7-2 win-loss record and a 22-11 mark in sets won and lost.